An impressive four bedroom family home. 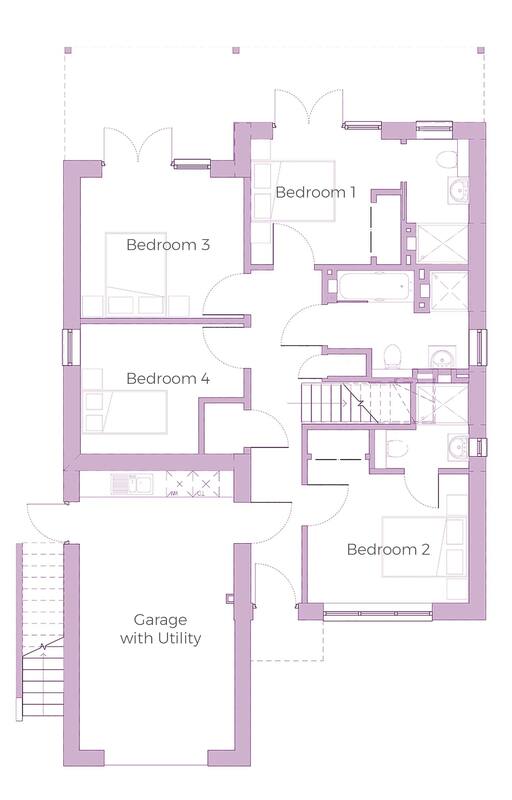 Ground floor comprises three double bedrooms, two with ensuites, large family bathroom and garage with utility area. 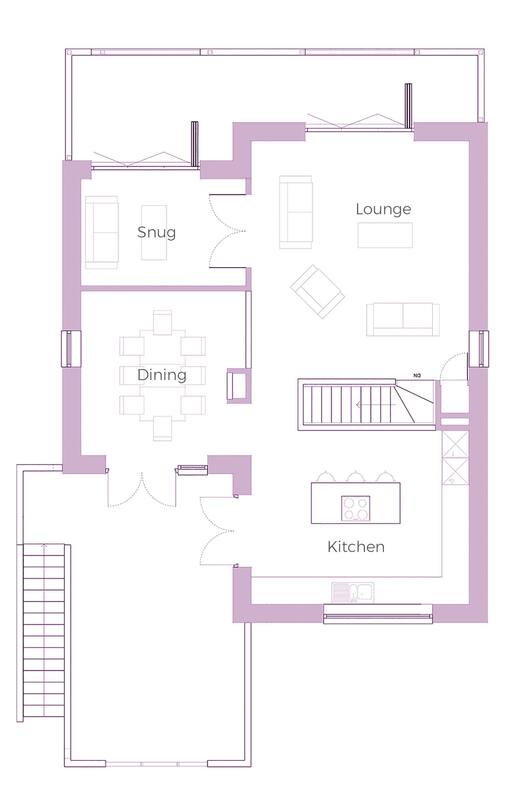 To the first floor is a lounge, kitchen, dining area and snug. Parking for additional vehicles on driveways. Please note: Plots 8 and Plot 10 are handed.